Today's Thing-a-Day Thing is Neil Cicierega! 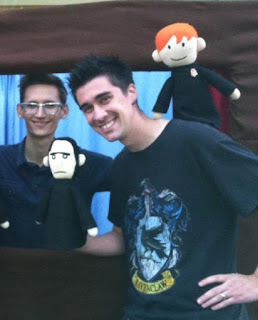 He made all the Potter Puppet Pals stuff. I like them. I even got to meet him once. And I got to hold the Snape puppet! But I like a lot of his other stuff more. 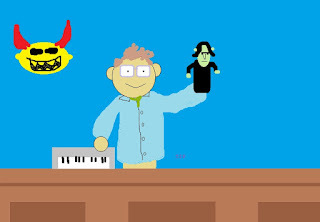 He also makes music under the name Lemon Demon. I like his other videos a lot. You should probably check all of his stuff out. Anymore when I make stuff I'm either ripping of Neil or Dinosaur Dracula.